There's a huge "help wanted" sign hanging over the home building industry. Builders throughout the country are struggling to find workers, and it's causing major problems: Labor costs are rising, homes are taking longer to complete and buyers are facing higher prices. "We are now at the point that there is a serious shortage of workers," said Jerry Howard, CEO of the National Association of Home Builders. "It's a real problem that ripples throughout the home-building process that ultimately costs the consumer." When the housing market collapsed nearly a decade ago, home construction came to a screeching halt, leaving many workers in the field without jobs. Workers fled to other industries or other countries, and many haven't come back. Some took jobs in the manufacturing and auto industries, while others found work in the energy sector. "Simply, they were getting any work they could and had to go into other sectors to find ways to put food on the table," said Howard. Foreign-born workers, the vast majority of whom come from Mexico and the Americas, make up a chunk of home builders' crews, and many returned home during the Great Recession and ultimately found gainful employment there. "A lot of workers went back to Mexico," said Alan Laing, executive vice president at Taylor Morrison Home Corporation (TMHC), a national home builder. "The Mexican economy has improved during that time so it's not a compelling proposition to come here. The immigration policies and employment practices make it harder for undocumented workers to gain employment." What's more, the flow of immigrants into the industry has been slowing for awhile. "The spigot was sort of being turned off in the later part of the George W. Bush administration and throughout the Obama administration," Howard said. "So it probably started then and got worse and worse." In April 2006, the industry employed roughly 3.4 million workers, according to the National Association of Home Builders. 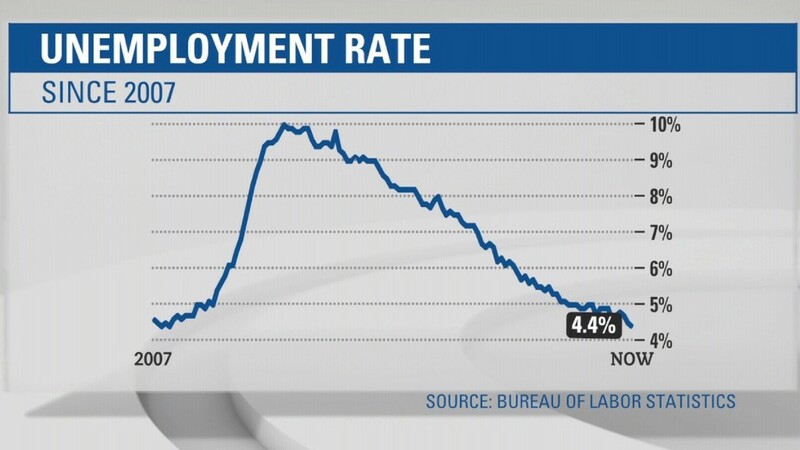 Last month, home building employment was 2.7 million. There's also a graying problem in the residential construction business, with many skilled laborers entering or nearing retirement and a lackluster pipeline. "We don't value trade workers like we did 30 to 40 years ago," said Laing. As demand for new homes in the United States continues to pick up, many cities are facing tight inventory levels. The labor shortage has led to increased labor costs, adding pressure to builders' margins. "It has caused a spike in wages because frankly, they are going out and recruiting other people's workers to fulfill their needs by offering higher prices," said John Courson, president and CEO of the Home Builders Institute. The lack of workers also means it takes longer to build homes. Rick McGuire, who has been in the industry for 35 years and builds roughly 10 to 12 custom homes every year in Texas, has seen delays in deliveries. "Homes that used to take eight months now take us 10 months," he said. Builders have also been facing higher supply costs, which builders expect to get worse due to the White House's new tariff on lumber coming out of Canada. "All those things together makes it much more expensive to build a house this year than last year," said McGuire. The industry is turning to groups and nonprofits like the Home Builders Institute to attract more workers. "Vocational training in high school used to be part of normal curriculum, but that has been falling by the wayside," said Courson. "All of the sudden vocational training gave away to a big push for STEM jobs." The Home Builders Institute offers training and industry certification to draw workers to the industry. It launched a high school pilot curriculum that targets students who might not interested in pursuing a four-year degree after high school. The organization also reaches out to under-served youth, veterans and current and just-released prisoners. Courson said that 90% of the people who complete the certification process get jobs. The Home Builders Institute trains a lot of former soldiers in Savanna, Georgia, where an initial job can start with a pay between $30,000 and $50,000. There's also been innovation with the building process to help deal with the lack of workers. Laing expects more home parts to be built in a factories or warehouses and then shipped to a worksite. "It's easier to maintain a workforce when they come to a warehouse or yard every day and are producing consistent and steady work," said Laing.